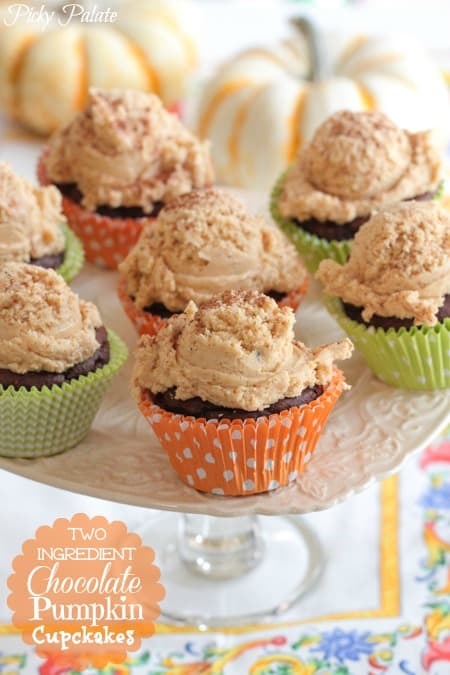 These Two Ingredient Chocolate Pumpkin Cupcakes could not be simpler and are perfect for Fall baking. I made these cupcakes last week for our cub scouts and it took all of my will power to not devour these myself, lol! Not kidding when I say two ingredients. Take your favorite box mix plus a 15 ounce can of pumpkin puree. Mix them together and bake in your favorite cupcake liners. Some here too. 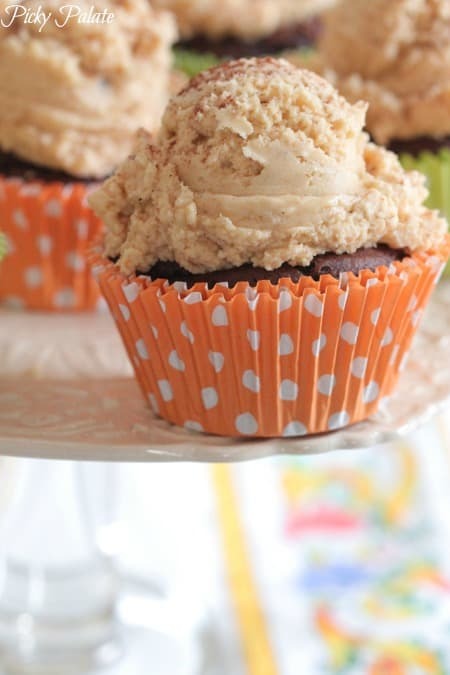 Use my Pumpkin Spice Brown Butter Frosting for an irresistible treat! Can you handle the difficulty of this?! One cake mix and one can of pumpkin. We got so many compliments on these. Such a great cupcake to make when you are in a time crunch! 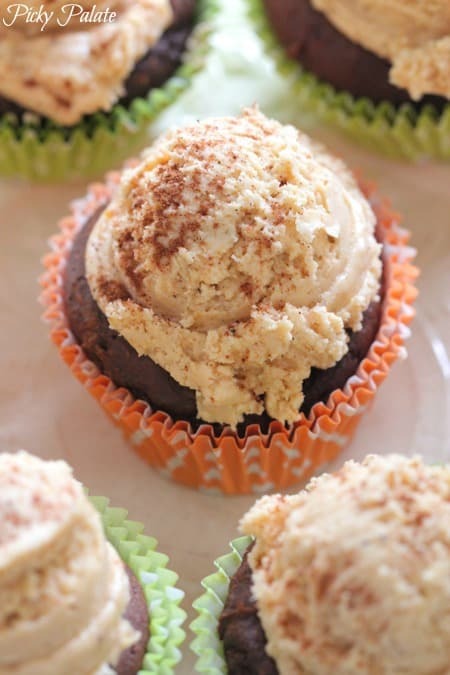 To prepare the frosting beat your brown butter with a softened stick of butter along with pumpkin and spices. See the full tutorial HERE. Add your powdered sugar and beat until nice and thick. I used a medium cookie scoop to place dollops of frosting on top of my cooled cupcakes. I am LOVING it! Sprinkle with a touch of cinnamon and enjoy! Preheat oven to 350 degrees F. and line 18 cupcake cups with liners. Beat cake mix and can of pumpkin puree in a stand mixer until well combined. Mixture will be thick. Fill cupcake liners 3/4 full with cupcake batter and bake for 25-30 minutes until toothpick comes clean from center. Let cool completely. To prepare frosting, Place 2 sticks of butter into a small saucepan over medium low heat. Once butter is melted, swirl pan occasionally checking color. Once butter is browned, it will smell nutty and be a deep golden brown. Remove from heat and let cool completely to room temperature. Place remaining stick of softened butter into stand mixer, beating until creamy. Add brown sugar, beating to combine then slowly beat in browned butter until combined. Add pumpkin, cinnamon, nutmeg and slowly add powdered sugar until thick and desired consistency. You can add tablespoons of milk to thin if desired. Store in an airtight container until ready to frost. Rainbow Bright Cupcakes. Happy 2nd Birthday Picky Palate! Oh man, these are sooooo easy!! Love this! 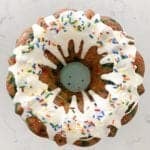 Love Dunkin Hines cake mix. These look so easy. Love this! I’m going to make this for a cake walk game coming up next month at our church. Thanks! So awesome! 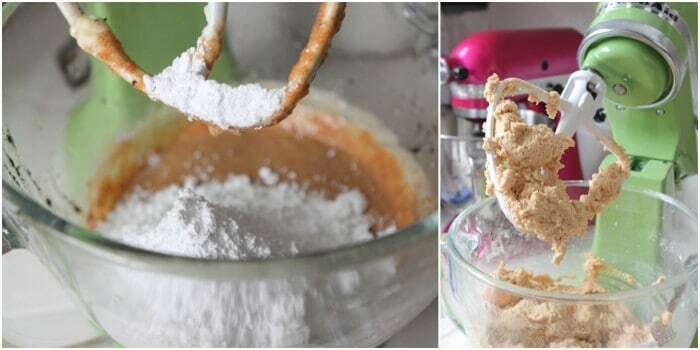 Nothing can beat 2 ingredients! I adore the pumpkin scoop frosting technique! Too cute!!! I love those ice cream scoop sized frosting tops! I love how easy these are, and that frosting sounds delish. You always come up with the greatest simple dessert recipes!! These look great! That frosting looks amazing. So simple. I must try! No way!! Two ingredients? Those are some FLUFFY cupcakes!! Yeah, I’m totally making these! I have made them with spice cake and pumpkin and they are awesome also. I love these cupcakes. Can’t wait to try the brown butter frosting with them. I definitely want to try these. 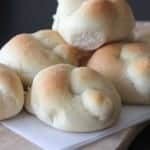 What is the baked texture like? you are right- it doesn’t get any better than 2 ingredients!! 2 ingredient is my favorite! Love these… and that frosting looks TO DIE! I can’t believe how easy these are!! Cannot wait to make them! I was so excited about the idea of only two ingredients that I tried these right away. They did “work” but I wouldn’t really say they were a big success. The frosting was totally yummy, but the cake was pretty dense and took on a gummy mouth feel after a couple bites. Hmmm, mine weren’t gummy at all. Perhaps they needed to be baked a bit longer. Since all the cake mixes I find are now 15.25 ounces (the one in the photo was 18.5) I cut back on the pumpkin (12.35 ounces). They turned out great!! I had the same issue, I think it was the cake mix I used– I find that this particular brands’ mixes in general turn out kind of gummy, I don’t know why I grabbed that brand :/ My cupcakes looked more like dog poo than cute cupcakes (would make a great gag though!) Going to try these again using the Duncan Hines mix used in this recipe. Keeping my fingers crossed! I wouldn’t normally post a negative comment but I think readers should be aware of various people’s results with this recipe. I agree that it is a super simple recipe. I had hoped it would be one my son in college could make in a hurry. But I have to agree with Madison–they’re unpleasantly gummy. I tried two different brands of cake mix, and two different cans of pumpkin (because some are rather watery). The Duncan Heinz mix had a slightly better flavor, but was still gummy. I even tried mixing in raisins in some, chocolate chips in some, and a baked-on “frosting” of cream cheese and sugar. Nothing makes up for the gummy texture. They’re fast, they’re edible, but I wouldn’t make them again because they pale in comparison to a made-from-scratch muffin. 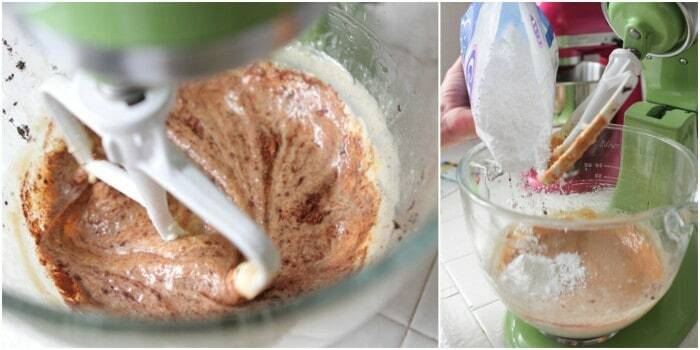 Even making cupcakes with the cake mix makes more sense. Sorry, I have to give these a thumbs down. OMG- that has to be the fastest cupcake ever. I love it!! The frosting sounds delish too. Great combo and awesome recipe. Bring on the pumpkin! I can’t wait to try out that frosting. Hello fall heaven! I am putting these on my next-to-bake list! One thing- you wrote brown butter instead of brown sugar in the pictured directions. Thanks for sharing!! 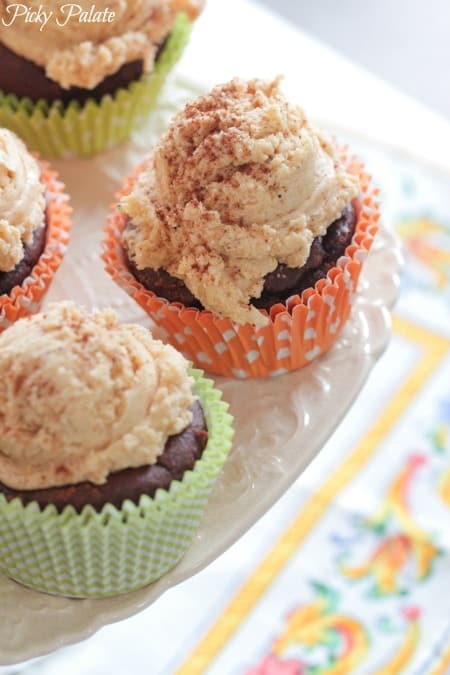 I’m obsessed with the scoops of frosting on these super easy cupcakes! They’re perfect! When do you add the brown sugar to the frosting? I do not see in the recipe where it is added. Loving the ice cream scoop-like frosting. So cute, and the trick with the mix and can of pumpkin is fantastic! These are amazing, Jenny! Love the simplicity! 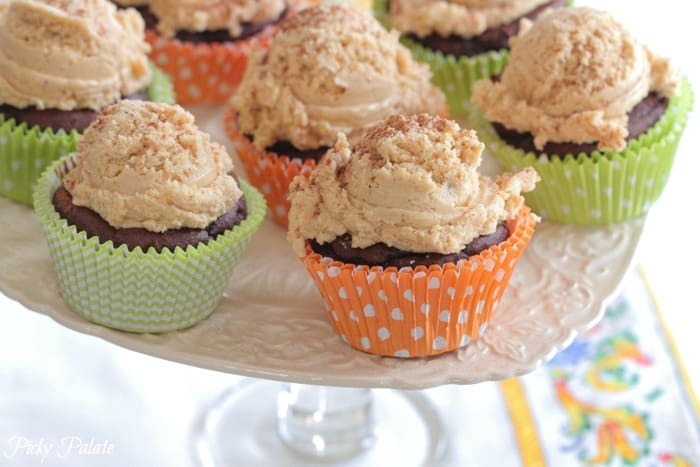 Great recipe when you need cupcakes ASAP! Which is everyday right? I am making them tonight to take to my daughters class tomorrow. Can I ice them tonight? Super smart! You can’t go wrong with chocolate and pumpkin. Mmm. I make these all teh time but w/ spice cake mix…..soooo good! You have to try it. I also throw in some mini choc chips. YUMM! How fun! I’ll be trying it with other cake mixes, yum!! You basically just created my favorite cupcakes! YUM YUM! I’ve made the 2 ingredient cupcakes before. Love them! Now I’m excited to try them with that delicious looking frosting. Can’t wait! Can you taste the pumpkin if you eat just the cake part? I hate pumpkin, but I am wondering if you can actually taste it at all. Made pumpkin cookies (just the bag kind) used the leftover frosting to make cookie sandwiches with chopped pecans between too!! I made a very similar recipe that I found on an other blog but my experience was not good. The texture was not good and you couldn’t take the pumpkin at all. Can you taste the pumpkin in this version? Also, in it a more dense cupcake? I have never been a big pumpkin fan and just recently have been playing around with it in recipes. I am never really quite sure what to expect with it. Photos are beautiful and I am totally going to make your frosting recipe!! Thanks Sarah, I do taste the pumpkin in these cupcakes. They are very dense, nice and fudgy 🙂 Hope you enjoy. 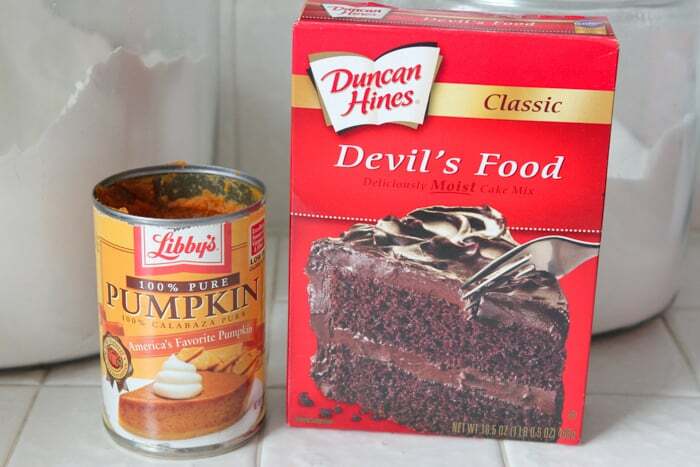 do i make the cake mix as directed on the back of the box, then add pumpkin? OR just pumpkin and cake mix, no egg,oil, etc…???? Thanks Jane. They turned out amazing!